Hampi Sightseeing: Top Places to Visit in Hampi, Karnataka, top things to do, shopping and nightlife in Hampi, find entry timings, fees about various attractions & many more about Sightseeing in Hampi. Zenana Enclosure in Hampi is a secluded area meant for the royal women of the Vijayanagara Empire. The highlight of the area is the impressive Lotus Mahal. Varaha Temple in Hampi is an impressive structure that is known for its wall carvings. The beautiful temple bears images of the Royal insignia on its wall. 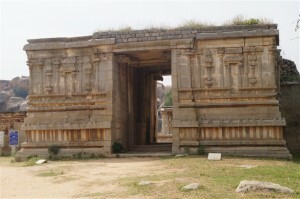 Uddana Veerabhadra Temple in Hampi is dedicated to the demon king Veerabhadra. It has the largest statue of Veerabhadra built during the Vijayanagara days. 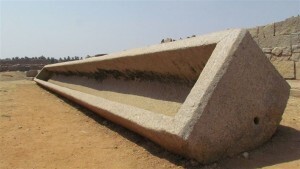 The Stone Trough in Hampi is a water trough that was used to provide drinking water to the horses. It is situated within the ruins of the Royal Enclosure. 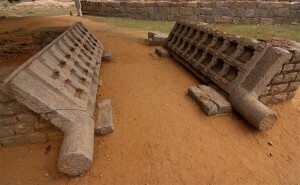 Stone Doors in Hampi is part of the ruins in the Royal Enclosure. The monolith stone doors represent the artistic talent of the workers of the ancient era. 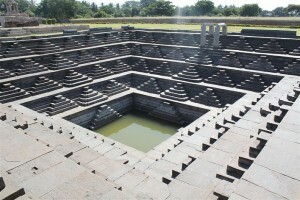 Pushkaranis in Hampi are huge water tanks. 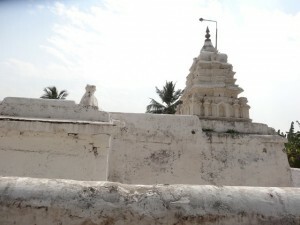 Most of the big temples have a pushkarani near it. Some of the water tanks display amazing architectural beauty. 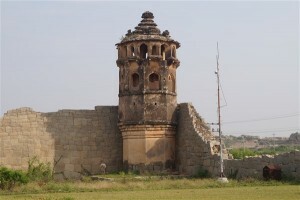 Pan Supari Bazaar in Hampi is a ruined market place that is located in front of the Hazara Rama Temple. The once famous market is no more functional today. 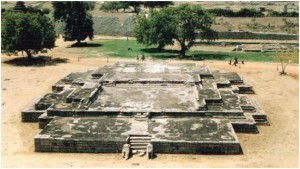 The Palace of Vira Harihara in Hampi is located within the Royal Enclosure. 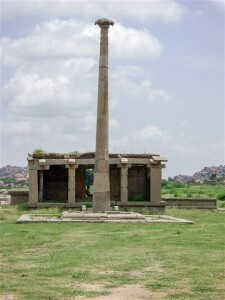 This ruined structure in Hampi is still visited by a large number of tourists. Granaries in Hampi are large storage places that were used to store grains in the ancient times. The foundations of such granaries can be seen even today.